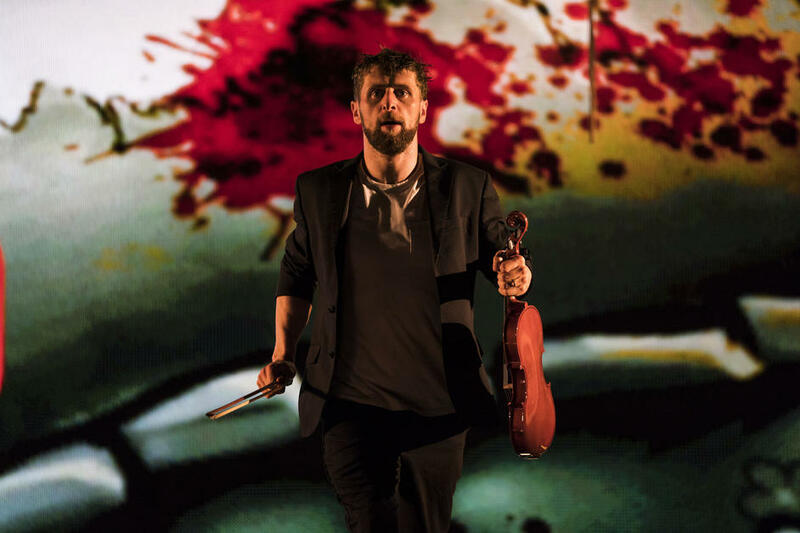 The latest collaboration between Irish playwright Enda Walsh and composer Donnacha Dennehy, The Second Violinist is a modern opera that tells the foreboding story of a life falling apart. The drama at the Barbican unfolds as Martin, an orchestral violinist, is consumed by social media platforms, morbid fantasies and violent video games. Seeking solace in the music of Italian Renaissance composer Carlo Gesualdo, his inner turmoil becomes ever more apparent as he searches for beauty in a dark world. Concluding its five star reviewThe Guardian said, "Like its recurring filmed image of a murmuration of starlings, it soars." What are the best dining options near The Second Violinist London? The Second Violinist gyms, sporting activities, health & beauty and fitness. The best pubs near London The Second Violinist. The Second Violinist clubs, bars, cabaret nights, casinos and interesting nightlife. Where to have your meeting, conference, exhibition, private dining or training course near The Second Violinist.